Onimusha: Warlords is a remaster of the 2001 game released by Capcom for the Playstation 2 and Xbox. Its plot is set in the Sengoku period and focuses on the samurai Samanosuke Akechi who fights against the forces of Nobunaga Oda. If you played the original, don’t worry, that much hasn’t changed. If you’re wondering what has changed, well, you know the deal: watch the video below to find out. Onimusha: Warlords is very similar to its original incarnation in graphics and story, which is both its strength and its weakness. Since the original title boasted good quality and a strong fan base (it was the first Playstation 2 game to reach one million sales), it’ still a fun game to play throughout. However, it fails on a couple of levels, mostly due to failing to update some of the nearly-two-decade-old mechanics, like the fixed camera angle and save system. If you’re a fan of the original game, you won’t find this unfamiliar, but you might find the rest of the game too similar to the original. If you’re new, these elements could be frustrating, but they should be overpowered by the quality of gameplay. 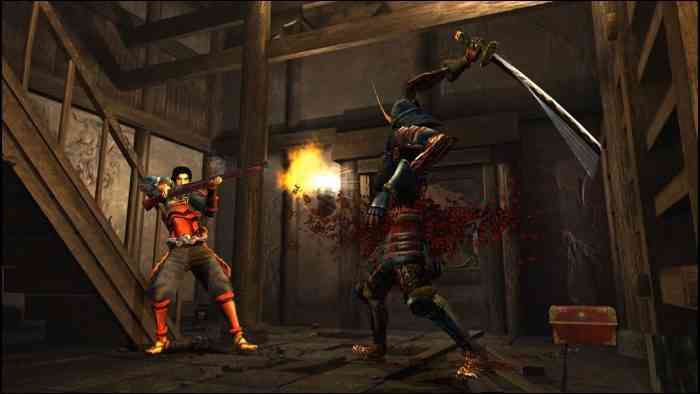 Do you have plans to pick up Onimusha: Warlords? Did you play the original? Let us know in the comments below! Previous YiiK: A Postmodern RPG Video Review – More Like Yikes!